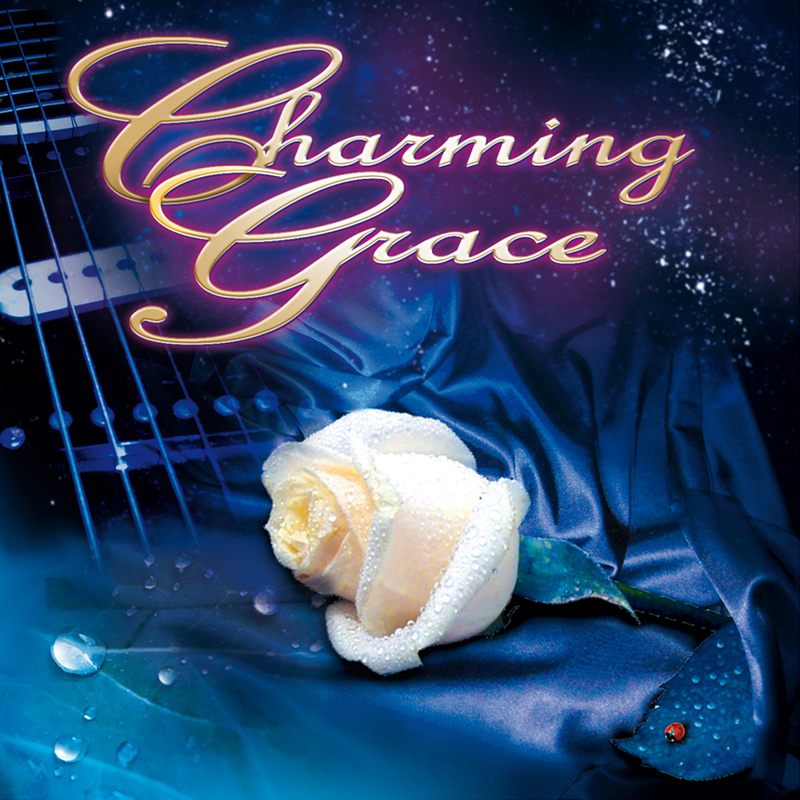 The pure AOR of the Charming Grace project is based on the idea of writing songs in the classic style of the 80s and recording them as duets. Although to be fair it seems a bit strange ho hear 2 blokes singing a duet! To give the record its own identity, all songs are sung by one main lead vocalist (Barbieri) while the featured duet partners are picked individually for each tune because of their special musical talents. The concept was developed by Pierpaolo "Zorro 11" Monti , (drums – Shining Line, Lionville) together with Davide "Dave Rox" Barbieri (lead vocals & keyboards – Wheels Of Fire) and Amos Monti (bass - Shining Line, Lionville). Most of the songs for the album were written by Zorro together with Dave and they also picked two songs to record in the Charming Grace style, Bon Jovi’s “Everybody’s Broken” and Belinda Carlisle’s Top “Leave A Light On”. Over the course of the months the Charming Grace guest list became a very special round up of musicians as it includes artists which haven't been in a recording studio for years or even decades. Prime example is David Forbes, whose unique vocal talent was one of the major keys to turn Boulevard, the Canadian band he fronted during the late 80s and early 90s, into the cult act they are among AOR connoisseurs. Other very welcome guests on lead vocals celebrating a glorious return to the AOR and Melodic Rock world are the Scandinavians Bente Smaavik (Perfect Crime, Blonde On Blonde), Thomas Lassar (Crystal Blue), Henrik Launbjerg (Toys Of Joy) and Kimmo Bloom (Urban Tale) and from the States Moon Calhoun (Michael Thompson Band), who is accompanied by his mate Jeff Paris on backing vocals. The new generation of Melodic Rock vocalists is represented by Nick Workman (Vega), Stefano Lionetti (Lionville), Michele Luppi (Los Angeles), Josh Zighetti (Hungryheart) and Gui Oliver (Auras). In addition to Bente the female part of CHARMING GRACE is taken over by the husky voiced Jesse Galante, an American born singer with Italian roots and the wonderful newcomer Aurë. Among the ranks of the “Charming Grace Guitar Army” are the Swedes Sven Larsson (Street Talk, Lionville) and Peter Friestedt (Williams/Friestedt), local Italian string masters Roberto Priori (Danger Zone), Mario Percudani (Hungryheart, Shining Line, Mitch Malloy), Stefano Lionetti (Lionville), Mario Manzani (Florence 99), Steve De Biasi (Gunshy), Stefano Zeni (Wheels Of Fire), Andrea Lanza (Skill In Veins), Carmine Martone and Matteo Serra, while in the Red White and Blue corner, Tom Martin (Vega) is representing the UK. Additional guests are Boris Matakovic (Human Zoo) on saxophone as well as James Martin (Vega) and Alessandro Del Vecchio (Edge Of Forever, Shining Line, Lionville, Hardline) on keyboards and backing vocalists Michael Carrata (Soul Seller), Franco Campanella (Myland) and Tomas Borgogna (Borgogna). 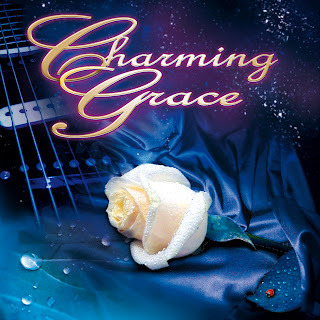 As you can see, Charming Grace is truly a who’s who of both the old and new guard of Melodic Rock! The distinctive vocals of Nick Workman help kick off the project with ‘Everytime You Touch My Heart’, and his vocals complement Barbieri’s perfectly. The chorus is one of those AOR by numbers, instantly infectious and sing-able and has Vega’s style running right through it. Moon Calhoun adds some spark (along with the one and only Jeff paris on BVs) to ‘The Way You Feel Inside’ a more uptempo track with more polish than a killers bathtub! Boulevards David Forbes steps up to the mic for ‘Shining Light’ no doubt a contender for the actual Shining Light album?! It’s a nice and safe song with some good guitar work from Mario Percudani and is a decent track indeed.